Train services in Kerala will be regulated during the night from June 2 to 16, except on Tuesdays, to complete track renewal work using track relaying train machines in between Aluva and Kalamassery. Train No 16128, Guruvayur-Chennai Egmore express will have a late start from Guruvayur at 11.25 pm. 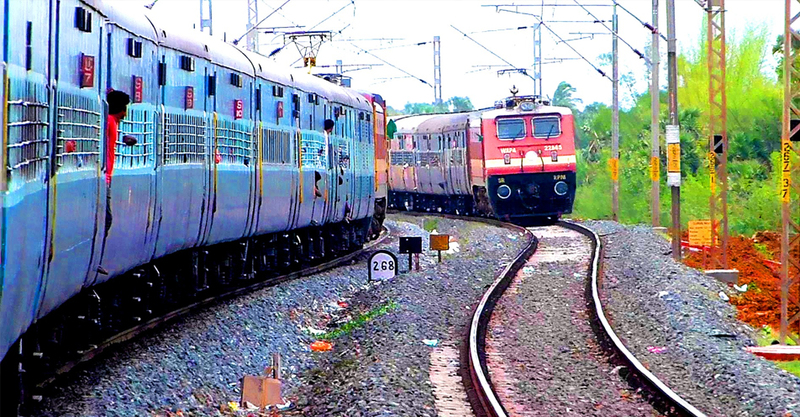 Train No 16348, Mangaluru-Thiruvananthapuram express, will be regulated for 60 minutes at Karukutty-Chalakudi section, except on June 5 and 12. Train No 16344, Madurai-Thiruvananthapuram Amritha express will be regulated for 40 minutes at Aluva. On June 4 and 11, Train 19260, Bhavnagar-Kochuveli weekly express will be regulated for 140 minutes at Aluva. On June 7 and 14, Train 16311, Bikaner-Kochuveli weekly express will be regulated for 140 minutes at Aluva. On June 7 and 14, Train No 16360 Patna-Ernakulam weekly express, will be regulated for 80 minutes at Angamali. Train No 16333, Veraval-Thiruvananthapuram weekly express will be regulated for 130 minutes at Aluva on June 8 and 13. On June 2, 9 and 16, Train 16335, Gandhidham-Nagercoil weekly express will be regulated for 140 minutes at Angamali. Train No 07115 Hyderabad-Kochuveli weekly express for 80 minutes at Angamali; and Train No 22634, Hazrat Nizamuddin-Thiruvananthapuram weekly express for 90 minutes at Karukutty station.